GMPC, Award Winning Printing Service Company, is serving North Jersey and across U.S. Starting in 1987, GMPC has an interesting history. The company's success today is a result of several mergers and acquisitions. In addition, GMPC continued to invest in current technologies, (including offset and digital technologies), and hiring and maintaining a knowledgeable, experienced and hard-working staff, helped fuel GMPC's growth. As a result, GMPC experienced substantial growth throughout the 1990's, and grew into one of the most technologically advanced, state-of-the-art commercial printing operations in Northern New Jersey. GMPC continued to grow organically in the early and mid 2000's, and expanded their organization with the acquisition of LAS Printing Co. of Kearny, N.J. in 2005 and Innovative Die-Cutting of Fairfield, N.J. in 2007. GMPC Today "A Finucane & Reda Company"
The biggest keys to success were still to come! A merger with Cambridge Graphics of New York City in 2010 welcomed current Owner Bill Reda as Chief Production Officer to GMPC. Joining forces with The MMP Printing Group of East Hanover, NJ in 2012 introduced current Owner Mike Finucane as Chief Operations Officer. In leading Finucane & Reda Printing Corporation (GMPC) today, Bill Reda and Mike Finucane bring a combined 50 years of business and printing experience to GMPC. 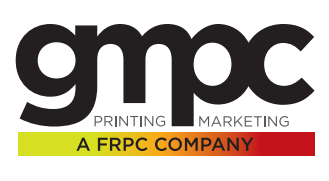 Now operating out of a new 10,000 sq ft production facility in Clifton, N.J., GMPC Printing & Marketing offers a full array of creative, marketing, and print solutions. We have the brainpower to conceptualize an idea from scratch, the experience to manage it through completion, and the flexibility to adjust to your project’s demands. Utilizing the latest in both offset and digital print technologies, we make one promise to you: we'll help you print smarter. Our success is built on EFFICIENTLY delivering innovative solutions while providing superior customer service. Through the power of the internet, whether you're around the corner or around the world, GMPC Printing can be your single source provider for all of your design, print, mail and marketing communication needs. 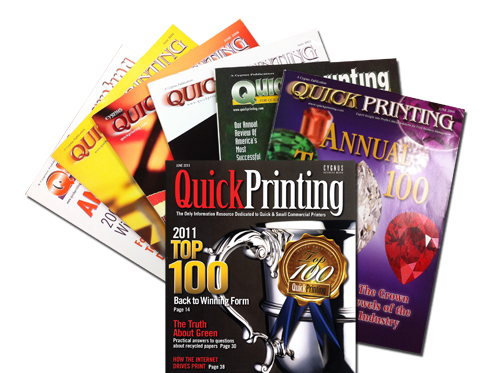 GMPC Printing has consistently been listed as one of the "Top 100 Printers in North America" by Cygnus Publication's Commercial & Quick Printing Magazine, a leading print industry publication. We're extremely proud to have again made the list in 2013 for the 12th consecutive year, and we're honored to be one of only five printing companies in the state of New Jersey to make the list.